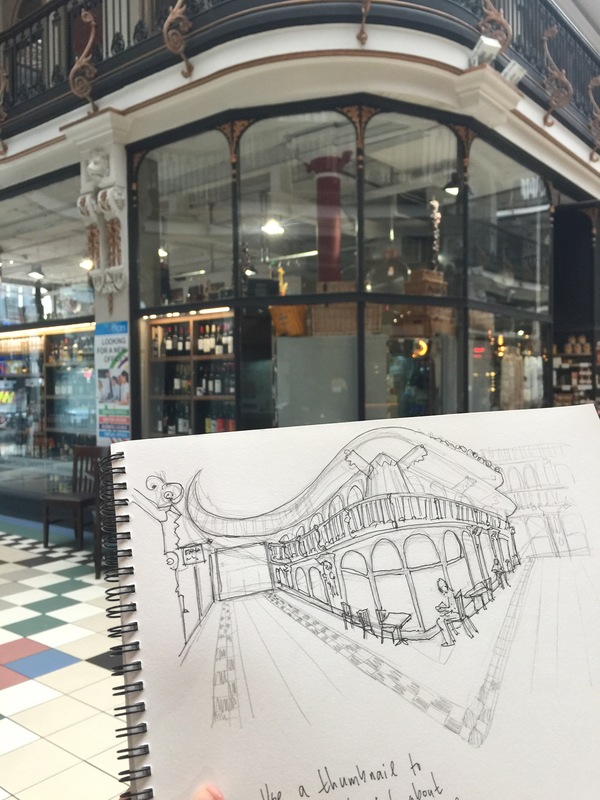 Even in the rain, Manchester is a brilliant city to draw. Everywhere you look there is something going on between the past and the present. The juxtaposition of the grand, ornamental Victorian buildings, the gritty mills – brick ghosts of city’s industrial past – and the sleek lines of its modern architecture create visual music. You’d think it would be a jumbly mess. But instead, it’s like watching musicians jam together. It’s exciting. 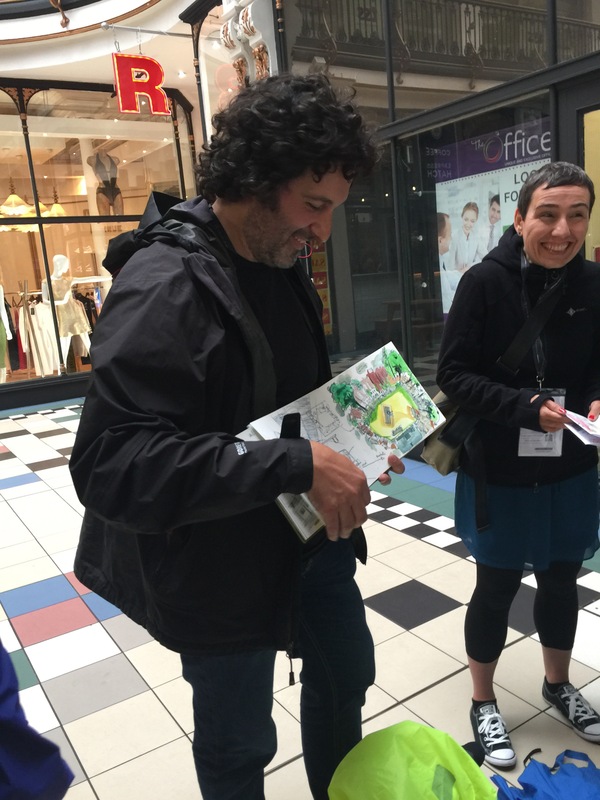 Today’s workshop got about 12 of us out of the rain and into Manchester’s Barton Arcade to bend the rules of perspective with Swasky – a talented illustrator and fearless guide to stretching our point of view. 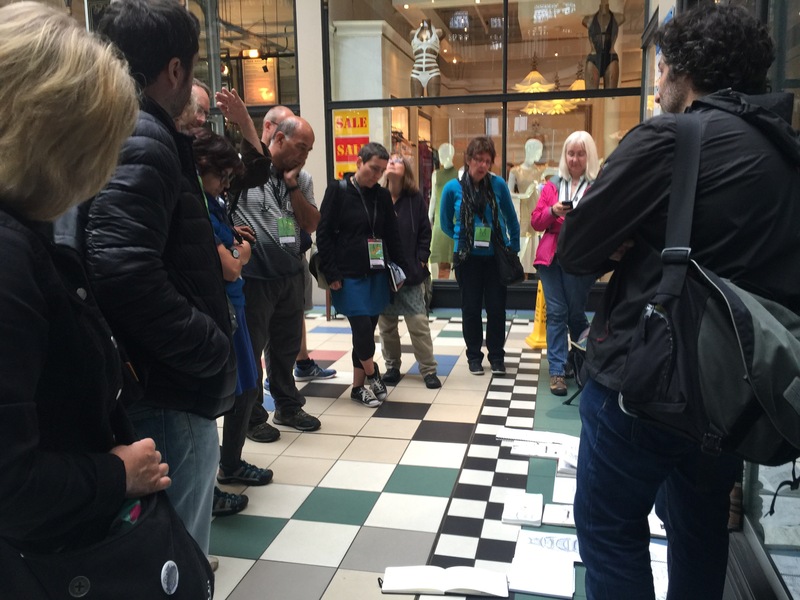 So right in the middle of the busy arcade – we learned to combine multiple perspectives into one sketch – (mostly) seamlessly using “hinge points” to transition from one view of the space to the next. Kinda like drunk drawing really! I loved it because Swasky’s technique gives you a tool to play with the limitation of two-dimensions and wing-it when perspective feels daunting. The drawings we did remind me of Art Brut – dynamic, slightly wonky and alive. And that’s how I like my sketches – not perfect, I can take a photo for that – but acting as doorways to reverie.